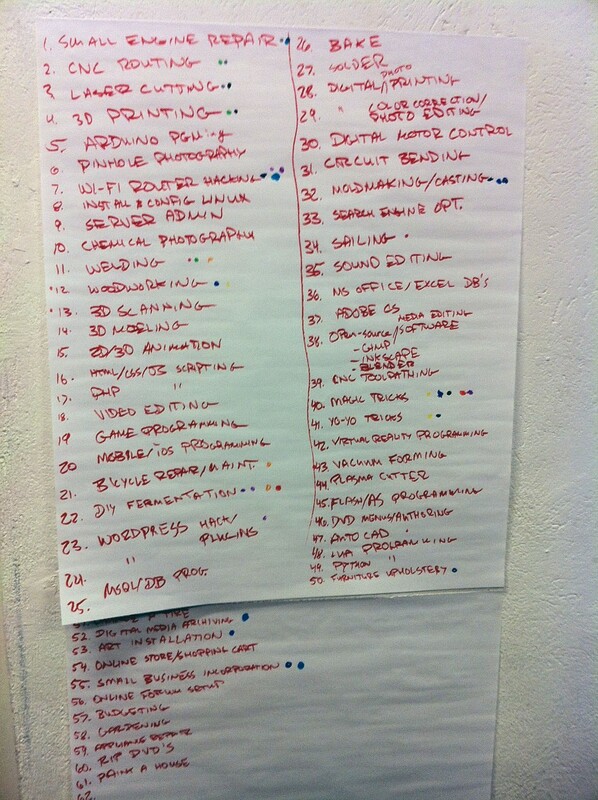 Had a great time yesterday at LA’s Machine Project brainstorming workshop ideas with the folks from UCLA Arts Software Studio. I came up with this list of things I can do. Harder than it sounds to inventory all your skills!